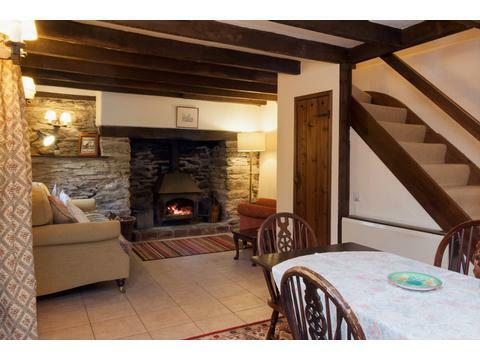 The perfect holiday retreat with stone fireplace, exposed beams, wooden window seats, and a stable door in the kitchen - smell the roses as you cook! 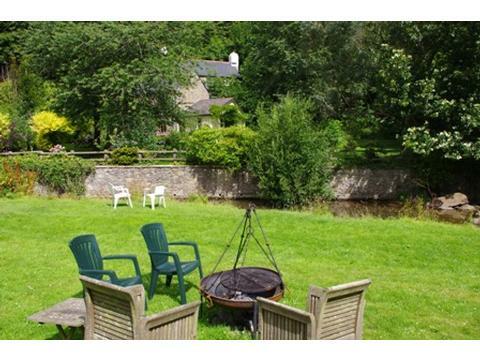 Enjoy sundowners & bbqs in the huge, private, fenced, south-facing garden above The Gara Brook, a shallow trout stream. An old bread oven (non-functioning!) in the thick chimney walls by the wood burner adds to the charm of this ‘chocolate box’ cottage, festooned with roses, jasmine, wisteria & honeysuckle. Or relax by the fire in the cosy living/dining room after your walks on the beach or on The Coast Path, a five minute drive away. The modern fitted kitchen is in a more recent extension, it’s fully equipped with fridge, electric oven & hob, washing machine, kettle, toaster and microwave plus a separate undercounter freezer for you to use. 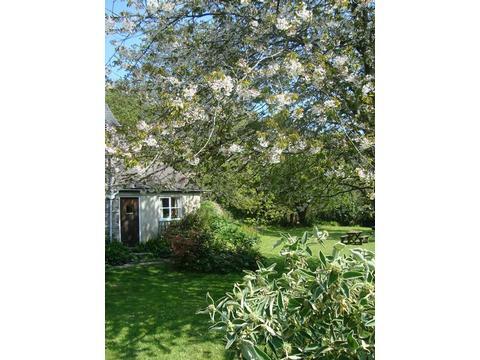 Quack Cottage nestles in a typical steep-sided Devon coastal valley by a former watermill in 20 acres between Slapton and Strete, near Dartmouth. 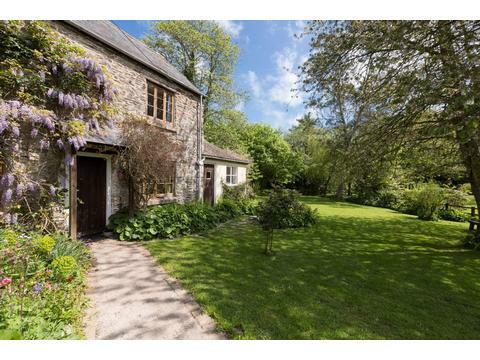 Close to Start Bay & beaches, pretty, old villages & The Coast Path in the stunning scenery of the South Hams Area Of Outstanding Natural Beauty. 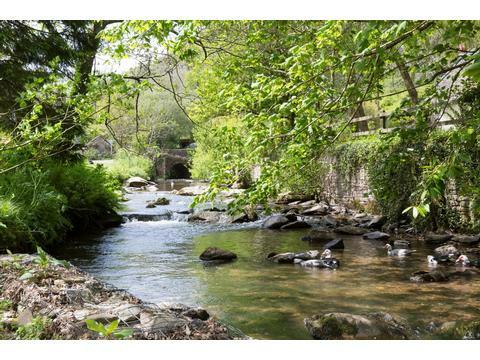 Reconnect with nature and each other far from the madding crowd, in a haven of peace and tranquillity almost untouched by the modern world with woods, meadows, private garden, & stream. There’s no through traffic, just a green lane stroll beyond the cottage and a 24-hour wildlife channel outside your window. The star-gazing is amazing as there’s no light pollution. 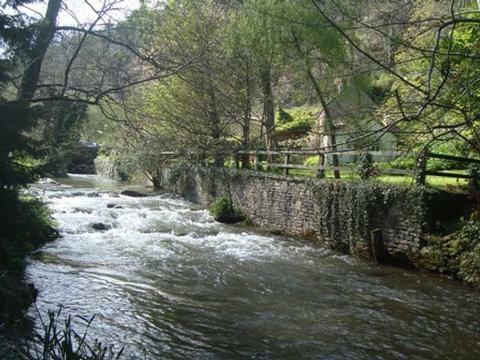 The Gara Brook which runs past the garden feeds Slapton Ley, a National Nature Reserve and SSI. Look for kingfishers, otters, dippers or listen for owls hooting by. We welcome dogs and are flexible on number. We're kid-friendly too, they love playing on the shared lawns, damming the stream, or toasting marshmallows by the streamside firepit. 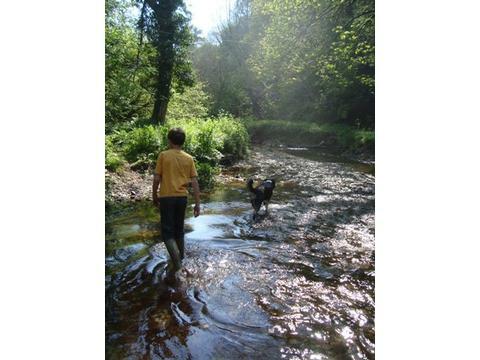 Explore our Robin Hood Land further along the valley, follow deer trails, build dens! Guests enjoy free electric car charging using electricity generated by our water turbine. Quack Cottage has plenty of parking. 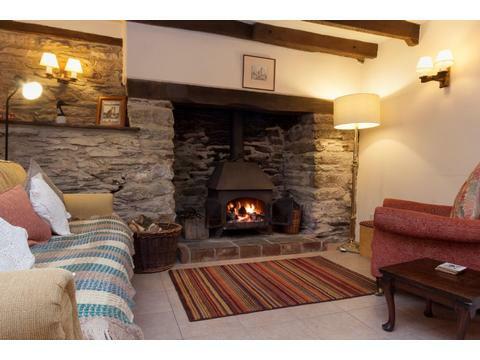 There's a log burner, electric radiators and heaters so you’re cosy all year round. All logs are included in the rental. Your own woodshed is in the garden. Outdoor furniture and a bbq make alfresco meals a delight. 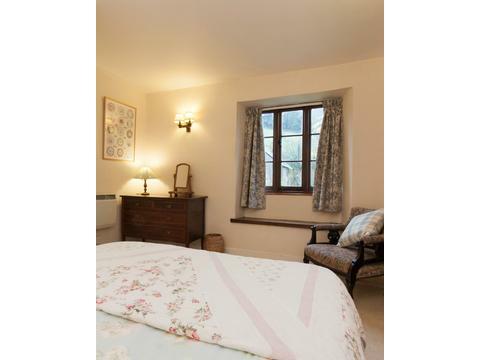 Upstairs there's a light and sunny double with a wooden window seat, views of the valley and stream and roses round the window. A spacious single next door, also with window seat and southerly views and a shared family bathroom, bath with shower over. Quack has an open-stair bannister so may be suitable for mobile children under five. 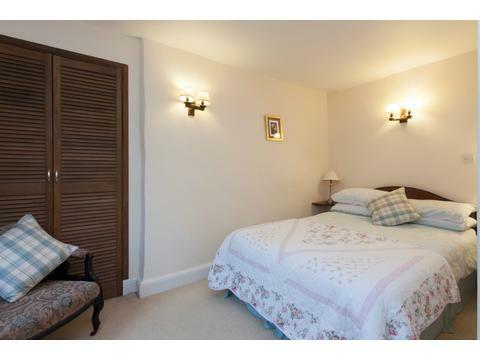 Downstairs is a further large single bedroom with wash hand basin. Views through the wisteria to the garden. Downstairs is a comfy sitting-dining room, with window seats each end and a large stone fireplace and logburner by the sofa. 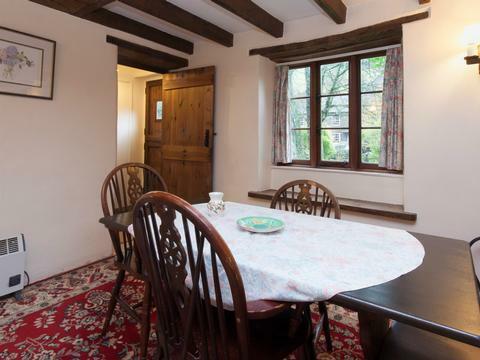 Dining table and chairs and a good storage and coat hooks under the stairs. 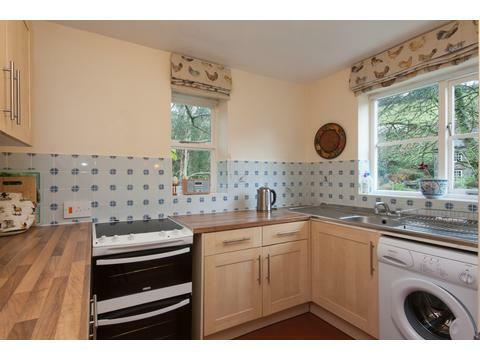 Modern, fully-equipped kitchen with separate freezer, views over the garden and a stable door into the garden too. The floor is tiled. Outside, a huge private, lawned garden with herbaceous border and mature trees, outdoor bench and chairs so you can follow the sun from sunrise to sunset, a bbq and a tap for hosing off the beach. And generous parking. 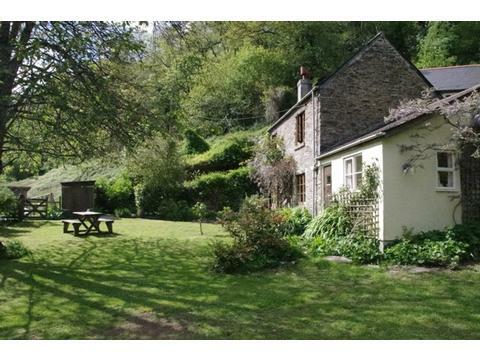 Sleeps 2-4 (1 x double, 2 x singles, one downstairs). 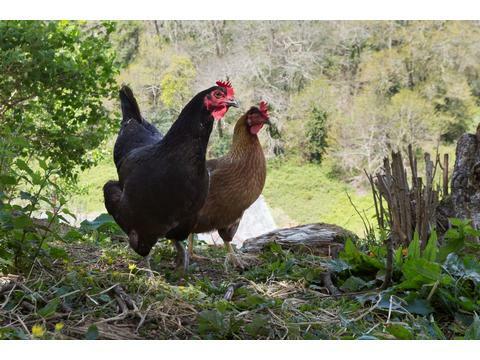 Lovely green lane walks around the valley and further afield, and 20 acres of seaside valley to explore - orchard, kitchen garden, ducks and chickens, sheep and lambs, woods, meadows, shared lawns and ancient wetlands by an eighteenth century former watermill. Quack Cottage used to be the mill workers' cottage. Open all year, short breaks available out of school holidays. Slapton has two dog-friendly pubs and a great community village shop. Strete is a 45 minute walk and has a dog-friendly pub with amazing sea views from the garden, plus a shop and Post Office. There’s great local food and restaurants to suit all tastes from fish’n’chips on the beach to tasty pub grub, gourmet or Michelin-starred. 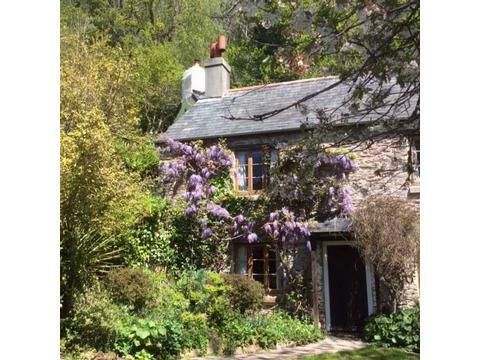 Quack Cottage is 7 miles from Kingsbridge and Dartmouth and 10 miles from Totnes. Plenty of beaches within a thirty minute drive, and Dartmoor National Park is 45 minutes away. Exeter and Plymouth are an hour’s drive. 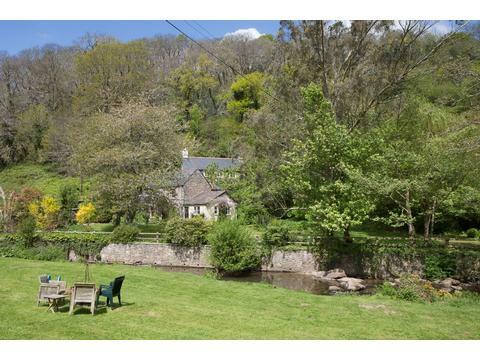 Set in stunning coastal valley in S Devon Area of Outstanding Natural Beauty 20acres with shallow trout stream to explore, close to beaches. 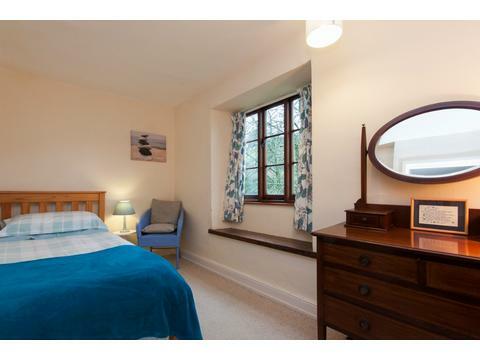 Just 5 min drive from Slapton Sands, Slapton Ley & The Coast Path. Great walks. No traffic. Rural Location.